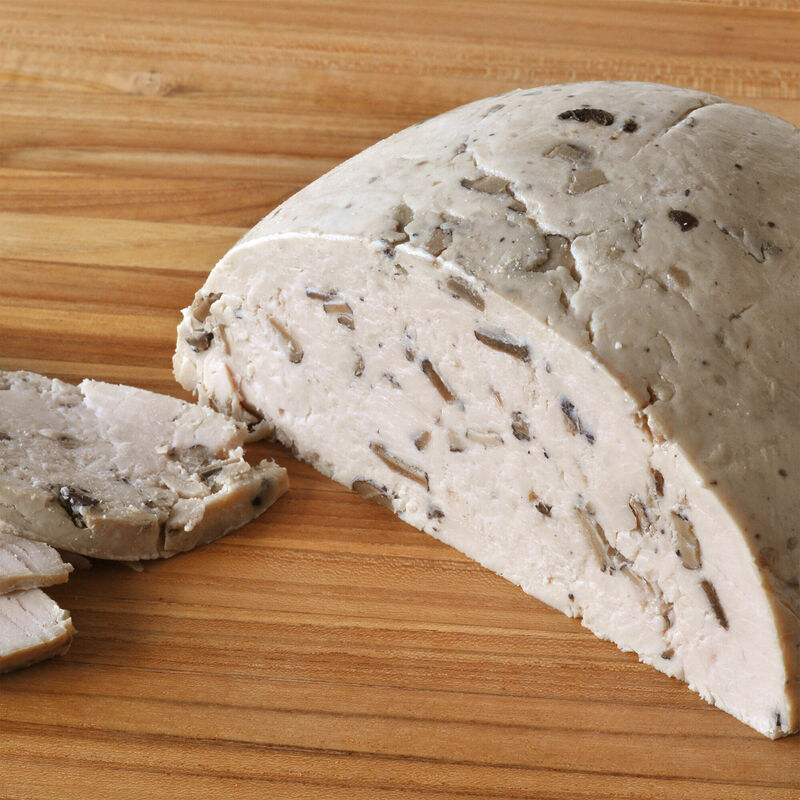 Fully-cooked, natural turkey breast, antibiotic- and hormone-free, with whole black truffle slices and truffle butter interspersed throughout the tender meat. We use all-natural, simple ingredients for the best – and most unique – turkey breast around. Whether it’s a Sunday dinner or scrumptious sandwiches for lunch, this turkey will impress.